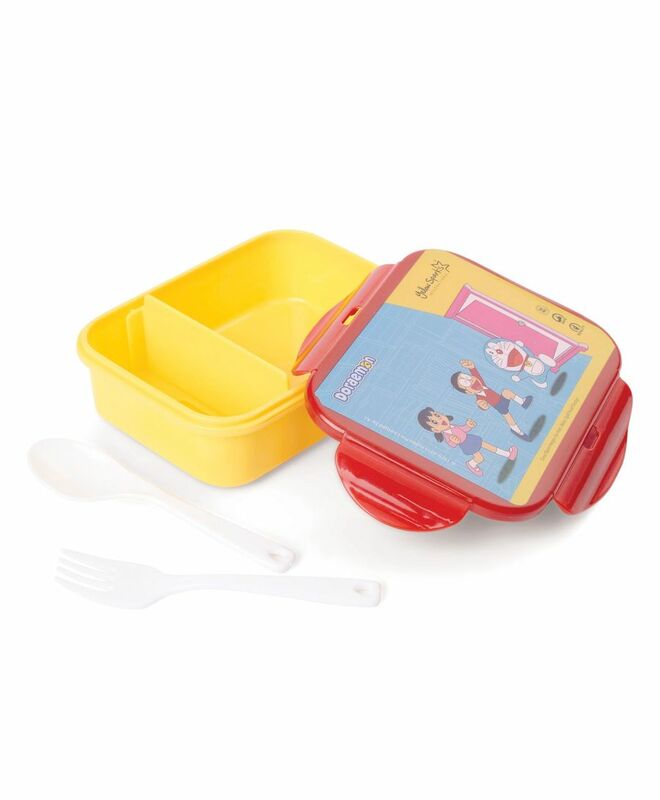 Doraemon Print lunch box is perfect for school, travel and day out. The print on the box makes it fun for kids to carry. Includes a spoon and fork. Easy to wash and clean. Made of good quality plastic. It will easily fit into a backpack.